1. Who can take the survey? We’d love for as many members and advisors of Rainbow to take the survey as possible. The more responses we have, the better! Please share this email and/or the link to the survey far and wide! 2. Who will see the answers to the survey? The Supreme Marketing Committee Members will see the survey and are using the response to identify and prioritize opportunities for the promotional materials sold by Supreme Assembly. 3. Is it anonymous? None of the questions, including those about your contact information, are required so you can leave those fields blank if you’d like to be discreet about taking it. We do appreciate having your contact information though in case we want to reach out to you to talk about your promotional ideas. I decided to take a little journey to find out what was really at the end of it and what I found was – you guessed it, a leprechaun! Bouncing up and down, this little leprechaun told me her name was Goldie and she was more excited to tell me what was in her pot of gold than the Grandies are at Revelations! 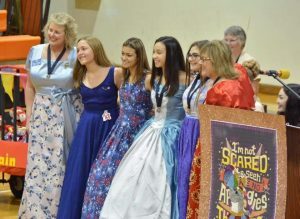 Contrary to what legend says about her pot of gold, the coins that are filled in it are not made of physical gold but instead something priceless; the acts service she saw the members of California Rainbow for Girls create this year towards Megan’s Wings – the non-profit organization they have chosen to support for the 2019-20 year. Goldie first explained to me what Megan’s Wing’s goal is and how it was founded. Megan’s Wings started in memory of Megan Savage, who lost her battle to leukemia at the age of nine in April of 2003. As a tribute to their daughter, the Savage family created Megan’s Wings. They named the organization Megan’s Wings because whenever they are lucky enough to see a butterfly it reminds them of her. Megan’s Wings is a non-profit is based in Upland, California. They help families navigate their journey with pediatric cancer by supporting their financial, emotional, and physical needs. “The course of our lives can change in an instant. One simple action or short phrase can alter our life forever.” – Hannah H., Grand Worthy Advisor. 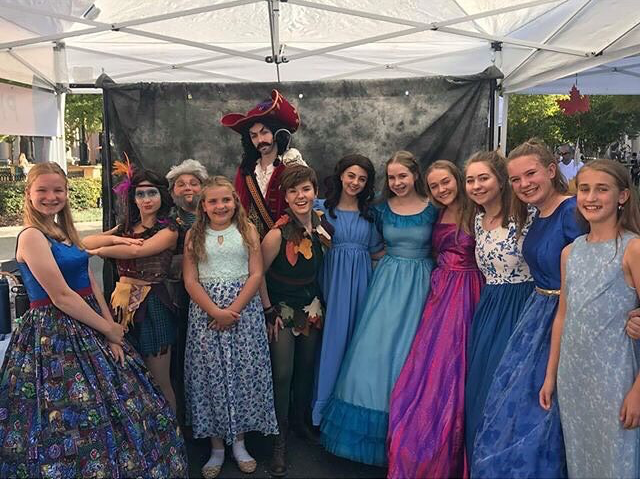 California Rainbow primarily supports their chosen non-profit by working hard throughout the year raising funds through fundraisers and drives. Each assembly comes up with their own special ways to do this. In just a short time, at Grand Assembly, they will present the funds they raised to the Megan’s Wings founders. Members of Citrus, Sunshine, and San Fernando Valley Assemblies volunteered with one of Megan’s Wings founders, Kim Savage to help clean up Megan’s Home. Their goal for the day was to make the house spotless before a little boy came home from his last day at chemotherapy. Megan’s Wings and California Rainbow worked together so that he would get to play freely in his home and yard without any worries. For the 4th of July, Hannah H., Grand Worthy Advisor, Kaitlyn D., Grand Worthy Associate Advisor and Grand Historian, Kellianne B., Grand Choir Director and Representative to Ohio/Pennsylvania, and members from San Fernando Valley Assembly worked with Kim Savage, Co-Founder of Megan’s Wings at City of Hope Medical Center located in Duarte, California to make life a little more joyful. 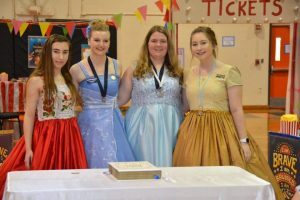 They held a party and spent the day doing hair and nails, playing games, and participating in arts and crafts with the families and children affected by pediatric cancer. California Rainbow even teamed up with Megan’s Wiings for a fundraiser at San Manuel Stadium to see the Inland Empire 66ers play! These seven Assemblies raised $6,981.46 for our Grand Service Project Megan’s Wings which they presented at their OV! The girls in the area went to the Oakland Observatory, held a sleepover, and then hosted a Service OV at the Masonic Home in Union City. 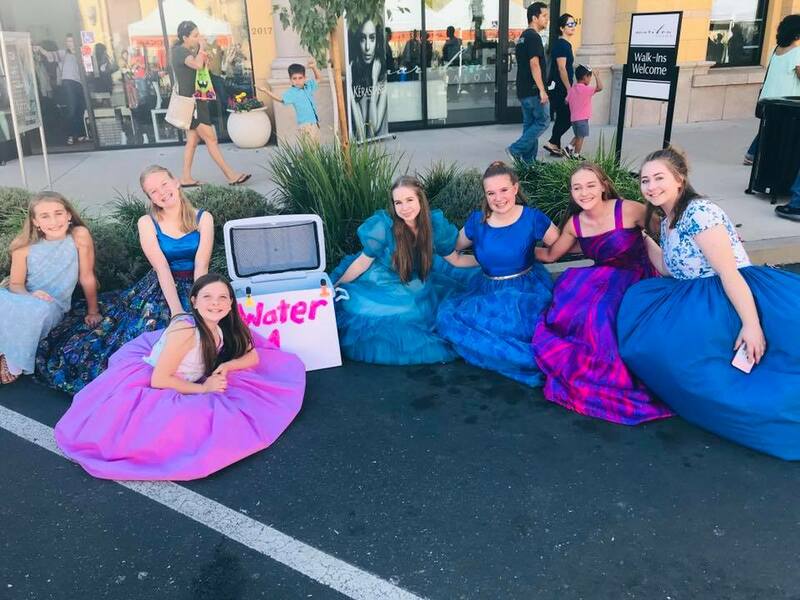 Natoma Assembly held a community service event at the Palladio Fall Festival. At the event they made sure to showcase a jar to help raise money for Megan’s Wings. This little leprechaun’s pot of gold must have weighed a ton because these were only a few of the many, many gold coins she had in it. Goldie didn’t only have a heart of service but she was full of puns! She wanted me to ask you to MARCH for Megan’s Wings by carrying the fundraising momentum throughout March until Grand Assembly. You can still help! One great suggestion is to make a Personal Pledge to the Grand Service Project. A Personal Pledge is a pledge to give up something or do something, in order to receive a donation – for example, to donate the cost of a cup of coffee instead of having that morning Joe one day! You can turn these pledges in at Grand Assembly. You can also donate any amount through the donate button on www.gocarianbow.org or click the donate button on our March for Megan’s Wings Facebook post! 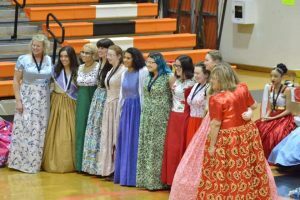 Make sure to take all your potatoes, lucky charms cereal, and four leaf clovers to Ontario, CA from April 6-9 2019 for Grand Assembly, The Winter Solstice: All That Glitters and Snows! Marshall’s Martians took us to Sacramento to see The Greatest Show and boy oh, boy, did it start out with a bang! Our ringmasters brought in Mrs. Marshall’s area which included the following assemblies, Natoma, Camellia, and Rose. 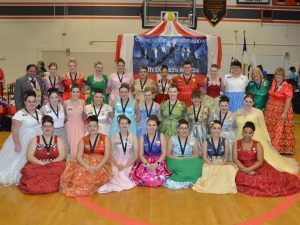 Not only was every Grand Officer and our Supreme Deputy inside of “The Big Top” but get this, the ringmasters brought 30 members from Natoma, Camellia and Rose assemblies to participate in the Last OV! To View Hannah’s Speech from the Last OV, Click Here! 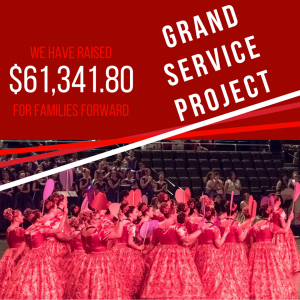 Have you made your Personal Pledge to the Grand Service Project yet? This is a new fundraising opportunity to raise money for our statewide service project, Megan’s Wings. A Personal Pledge is a pledge to give up something or do something, in order to receive a donation. The new Membership Team members were announced and will serve for one year. The newest member from the south is Emily M. from Fullerton/Yorba Linda Assembly and from the north is Kaelyn S. from Marysville Assembly. The new southern Leadership Team members will serve for two years. The southern member is Katie S. from Visalia Assembly and the northern member is Megan L. from New Hope Assembly. See you at the next greatest show in Ontario, CA from April 6-9 2019 for Grand Assembly, The Winter Solstice: All That Glitters and Snows! We've Got Spirit, Yes We Do. We've Got Spirit, How About You? 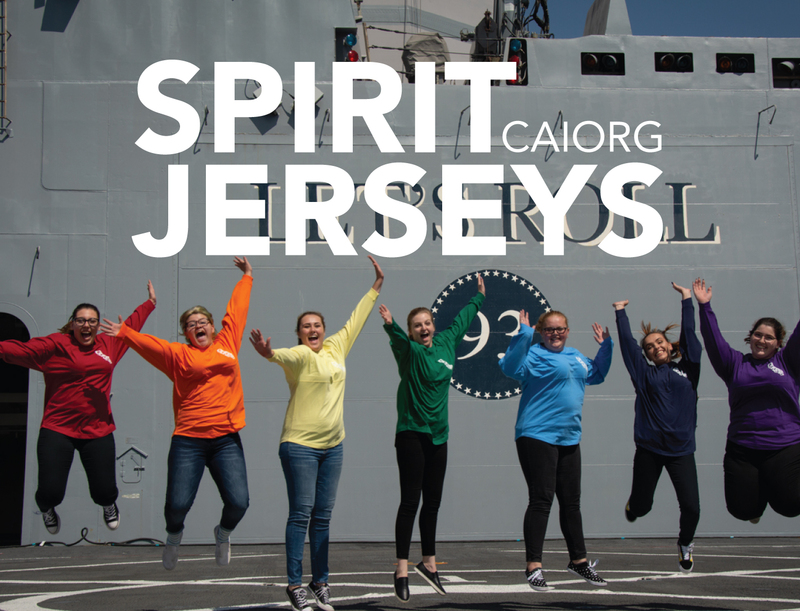 Click here to purchase your very own CA IORG Spirit Jersey! Help support the California Rainbow for Girls Foundation by purchasing our 2019 Lanyard and Limited Edition Pin. 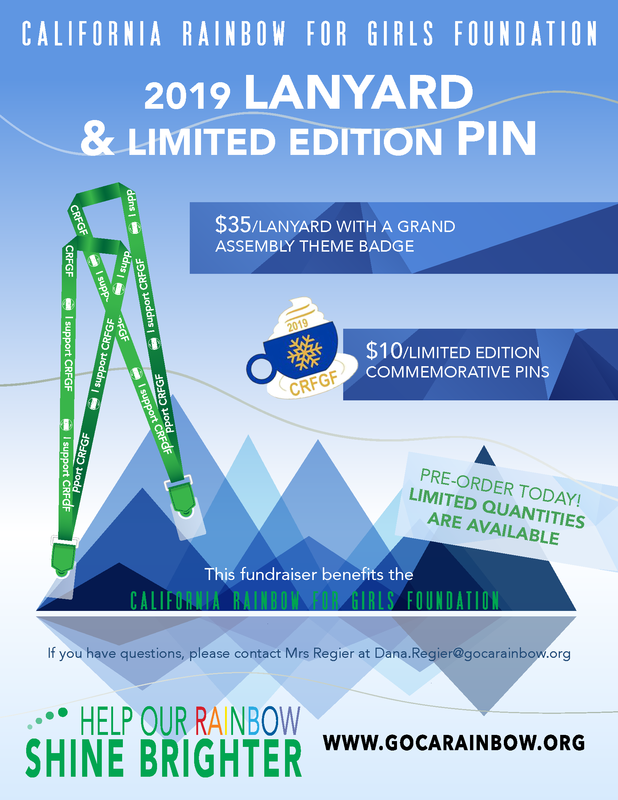 Please use the order form below to purchase the 2019 Lanyard with Grand Assembly Theme Badge, the 2019 Limited CRFGF Pin, or both through PayPal. Pre-Order today for pickup at the Foundation Booth at Grand Assembly 2019 in Ontario, California! Limited quantities are available so order early! he Leadership Team has openings for 2 youth members! 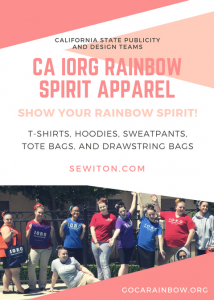 Join us in our mission to create relevant, engaging and educational leadership opportunities for our sisters in CA Rainbow. Plus, we have a TON of fun! Applications are due November 30, 2018! California Rainbow Leadership Team Announces the Distinguished Leader Award! California Rainbow’s “Beyond the Line” is a program designed to further the leadership and life skills of girls through self-study and application during her line office term. Each year, one girl for each line office from the program will be acknowledged as a Distinguished Leader. How do YOU receive the Distinguished Leader Award? While in your line office, work on your “Beyond the Line” skills and complete the project for your office. When you finish your project fill out and submit your term report online. All the reports submitted will be reviewed by a committee which includes the Grand Line Officer. The committee will select ONE Distinguished Leader for each line office to be announced at Grand Assembly. The Distinguished Leader will be a girl that demonstrates the skills of her line office, is someone that is committed to her project and learning from it, and she thrives to keep a growth mindset. Every Distinguished Leader will be recognized with her own name tag for the year, a crystal award and #humblebrag rights on college applications and resumes. Complete ALL your office term reports (Faith, Hope, Charity, WAA, WA) and you’ll receive a certificate of completion of the CA IORG Distinguished Leader Program and #humblebrag rights on college applications and resumes. We can’t wait to see future leaders grow! These links are also available on the Leadership Team page at our website www.gocarainbow.org/resources/leadership-team/. Want to show your love for Rainbow all the time?? Go check out our IORG Spirit Gear and represent wherever you go! At the Northern Instructional on Saturday, June 17th in San Francisco, Grand Worthy Advisor Alana called upon California Rainbow to participate in several different types of service projects to benefit families across the state. First, we will be having a food drive that will culminate at the Southern Instructional that will benefit our Grand Service Project, Families Forward, directly. 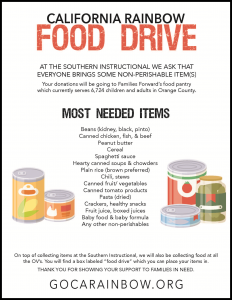 She is also encouraging Assemblies all across California to hold food drives to benefit their local food banks as well. 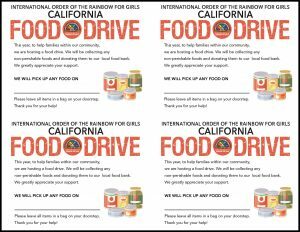 Click on the images below to download the flyers for the California Rainbow Food Drive! Click on image for full color PDF. Click on image for grayscale PDF.